What the heck is going on in Southern Cameroon? Cameroon is a country straddling West and Central Africa. It has a population of 24 million people, of which 20 percent are English speaking. Called the “Anglophones” or Amazonians, these people have been horrendously marginalized and oppressed. Their crimes? THEY SPEAK ENGLISH. Who are these people? what is the Anglophone crises about? Do you wish to achieve independence by joining the Independent Federation of Nigeria? …or do you wish to achieve independence by joining the independent Republic of Cameroon ? As you can see it’s not by force. Nobody forced them to do anything. The people of Southern Cameroons voted to achieve independence by dumping fellow English-speaking Nigeria to join French-speaking public of Cameroon. A decision they obviously now regret. But this is where it gets funny folks. During the plebiscite and despite the outcome of the vote, Cameroon voted NO against union with Southern Cameroons. The NO vote was instigated by France, which led all the independent French colonies to vote “NO”. The only French colony to vote yes was MALI. 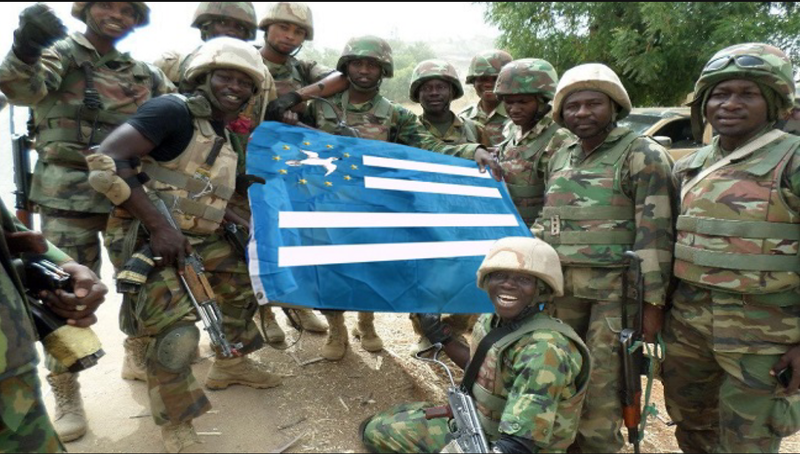 Despite the YES vote, Cameroon ignored simply ignored the Resolutions and agreements reached and with the backing of France illegally occupied the Southern Cameroon as a conqueror territory. Not one of the United Nations Resolutions was respected, nor the promise made by Cameroon itself. Of course it didn’t take long for the people of Anglophone Cameroon to wake up to the reality of how repression, inhumanity and bloodletting the Biya regime is willing to visit on them. The Cameroonian government has for years subdued and neutralized agitation and calls for economic and political fairness and equality with weapons provided by the French. The current bloodletting and OPPRESION inflicted on the Anglo Cameroonians is due to an well throughout systemic and planned genocide visited on them simply because if their cultural affinity to Nigeria, the second biggest Anglophone country on Earth after India and the United States. Attempts by the Ambazonians to resist the machinations of the Paul Biya government and his mentally enslaved supporters has only led to more brutal repressions visited on them mercilessly. Cameroonian Gendarmes watch over a group of arrested Anglophone protesters. 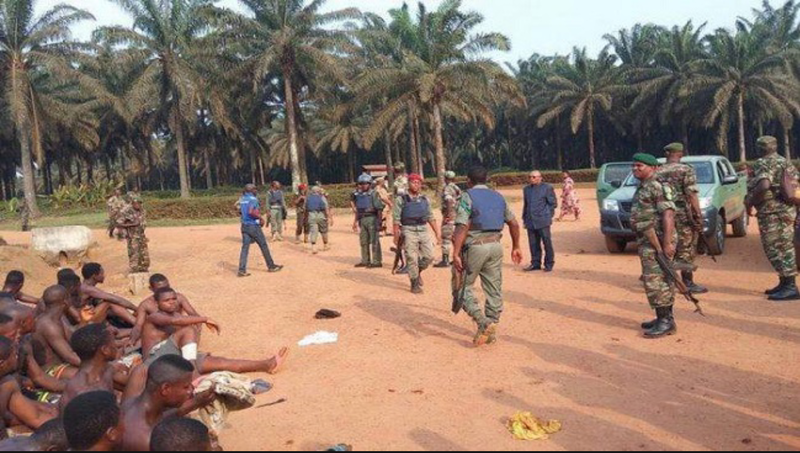 The barbarity of the French backed Cameroonian dictatorship is not limited to physical cancerous repression, they have incorporated psychological brutality on the poor people of Amazonia. Teachers from the French provinces of the Cameroon are sent to teach students of the English-speaking provinces. French language and court magistrates versed in civil law are being sent to rule over courts in the English speaking provinces that practise English Common Laws. 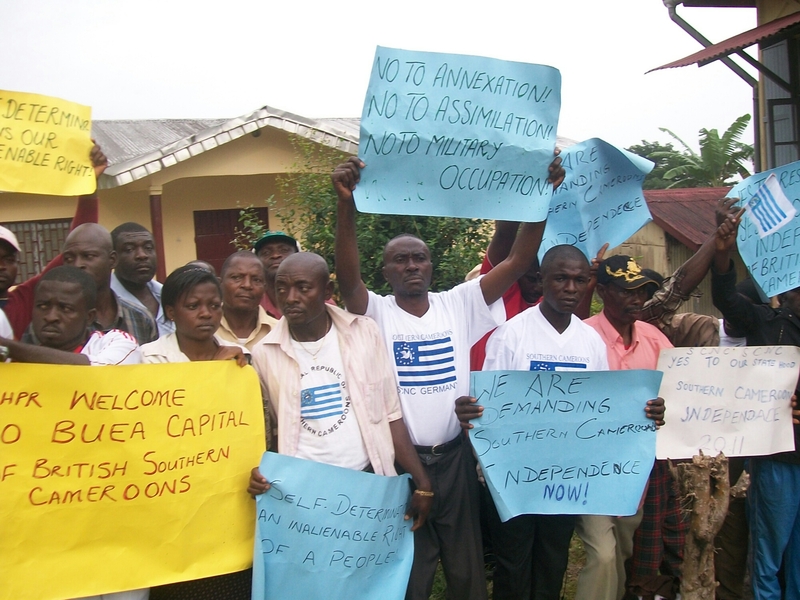 Southern Cameroonians call for an end to maximization and economic apartheid. To say that this is madness will be an understatement. These magistrates do not speak English, the language of the lawyers and litigants of the English speaking provinces, they don’t even have a clue of the procedures with the English common law system. What’s worse, all the governor’s and policemen and military heads in Anglophone Cameroon are conversant only in the French language and are from the French speaking provinces of Cameroon. These guys do not view the Southern Cameroonians as fellow countrymen, rather they treat Southern Cameroon as a forcefully annexed, enslaved and marginalized people. In a country with 36 ministers there is only one Anglophone. But despite the horrible treatment and marginalization netted on them by the dictator -Paul Biya and his pathetic supporters, the people of Southern Cameroon have made great strides economically. They share the same never say die resilience and entrepreneurial traits found in Anglophone countries like Nigeria and this further infuriates the mentally enslaved and docile Franco-Cameroonians. You see unlike France, Britannia did not and still does not interfere with the domestic affairs of the colonies they granted independence.Economically, militarily and diplomatically you were on your own after independence. This imbeded a culture of self reliance and resilience in a situation where the alternative is destruction. Decades of self reliance has made Anglophone Africa the dominant force in Africa economically and are truly independent countries. Contrast that with French Africa who till this day remain the poorest and least developed in Africa. Can you imagine Ghana, Nigeria, South Africa or even Kenya paying colonial taxes to Britannia, or being forced to keep its foreign reserves in British Banks? Cameroon shares a land border with Africa’s richest nation and consumer market of 200 million people , what most nations can only dream of, yet trades more with France, a colonial power three thousand miles away. Such is how successful the French have been with their policy of assimilation and mental slavery of Africans. Despite the horrid treatments suffered by Anglophone Cameroonians, international reaction has been muted. By keeping mute to the sufferings of Anglophone Cameroon we are not so different from Biya himself. Addressing the sufferings of the poor people of Southern Cameroon requires a firmer international reaction, and Anglophone Nigeria must be at the forefront in bringing an end to oppression of the Amazonians. These people have for years being soliciting for our help and our politicians are either too clueless to see that or just don’t care. For example, Anglophone activists-who the Cameroonians call militants, have for years being organising protests in Anglophone region every 1 October and some spectacular actions, such as the proclamation of independence by the “Ambazonian Republic Radio Buea, yet we as Nigerians have turned a deaf ear. Nigerian soldiers pose with an Amazonian flag. Cameroon, backed by France have for decades supported secessionist groups in Nigeria to actualise their dream of divided Nigeria. It is time Nigeria looks into the demands of the people of Ambazinians, only this time it will be for a just cause. Nigeria despite her size and power have never harboured expansionist policies. On November 8 2016, just last year. Anglophone lawyers mobilised hundreds of people for a protest rally in the Cameroonian province of Bamenda and reiterated their plea for the full restoration of the Common Law system. Now it’s not even as if this one was a violent protest, at least nobody was armed. But while the March was taking place Cameroonian gendarmes violently dispersed the crowd, arrested the lawyers. By the end of the day nine people were dead. An Anglo protector shot by Cameroonian Gendarmes rushed to the hospital. Anglophone teachers went on strike. They organized a rally against the lack of Anglophone teachers, we are talking about the appointment of teachers who do not have a good command of English. As usual the gendarmes violently broke the protest, people were, two people were shot dead. 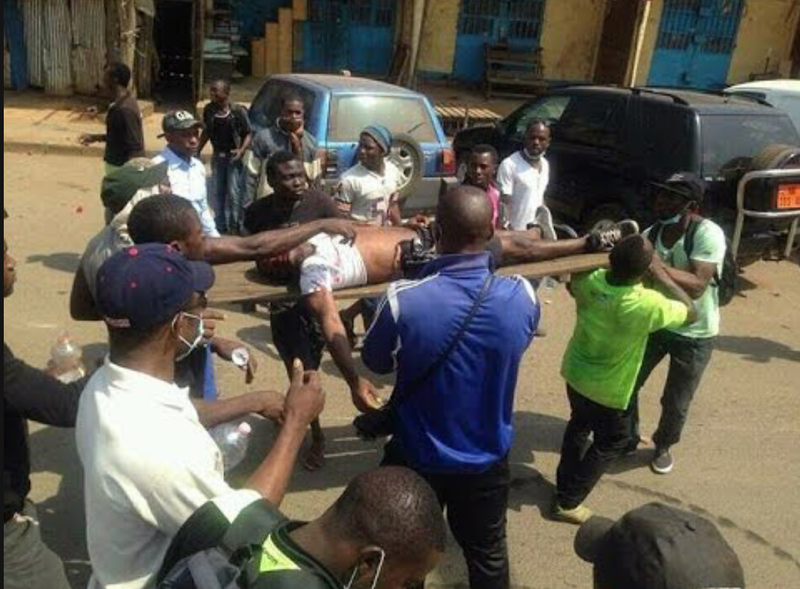 Anglophone university students brutalized by Cameroonian security forces. Students at a Cameroonian at a Cameroonian University organised a peaceful march on campus, calling for the payment to students of their bonus. You seem these Amazonians were dumb enough to believe Paul Biya when he promised an “achievement bonus” to students who excelled well. Biya’s response was to have the police repress the students. 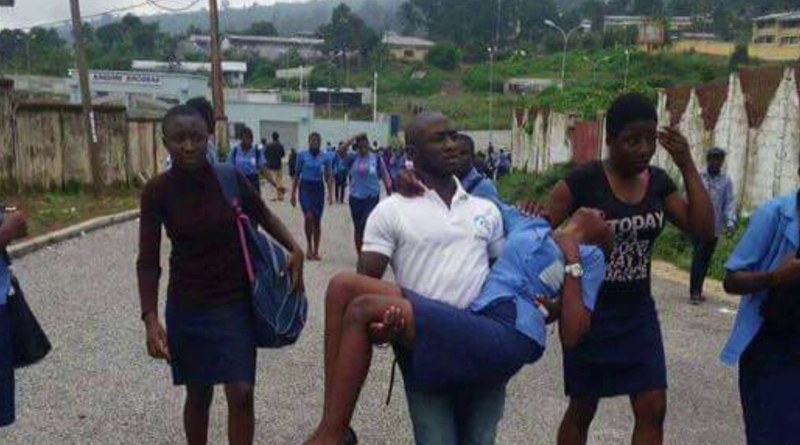 Female students were strapped naked, beaten up and ordered to roll in the mud. One was allegedly raped. Some were arrested in their homes. But the worse was yet to come. French Cameroonians, arguably the most brainwashed people on Earth organized a pro-government rally in the Anglophone regions. Angry Anglophone Cameroonians prevented the rally from taking place. Violent clashes ensued, eight died, dozens wounded and dozens more arrested. Again peaceful protests in Bamenda, again three dead, properties set on fire. Again peace rallies, again 12 killed, 82 arrested including teachers and journalists.Prominent Anglphones like Paul Abin Ayah, a Supreme Court judge was arrested without a warrant. Others like Tassang and Harmony Bogba fled into exile in Nigeria. Previous Post Previous post:Steer clear of Cameroon’s internal politics : Nigerian Community told. Next Post A Rare Look Inside a $350 Million Warship : NNS UNITY. You welcome. Have you been particularly affected by this? Not really my pain is school resumption. I can’t go to school when the problem hasn’t been solved. Sorry to hear about that. Where do you reside? Sorry man. It’s unfortunate the world has shown no interest in the prosecution of your people.